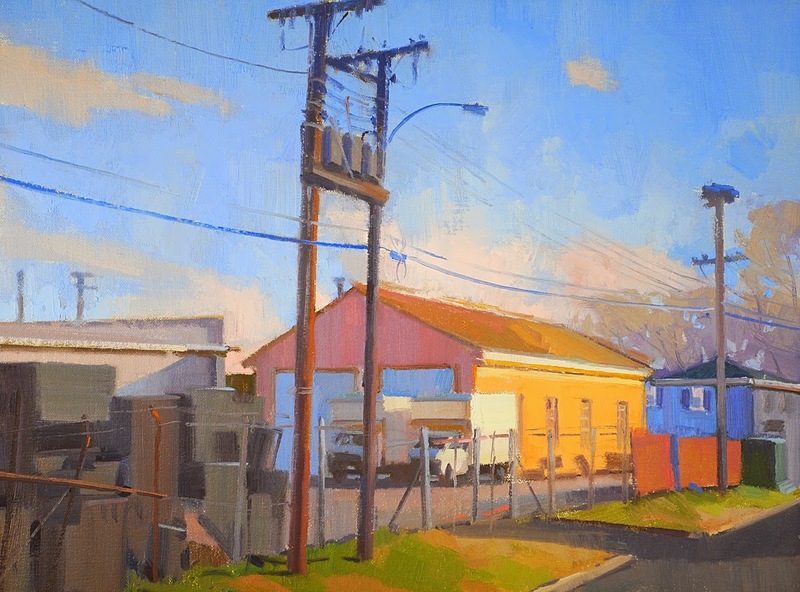 Texas-born Louis Escobedo has been painting since he was six. 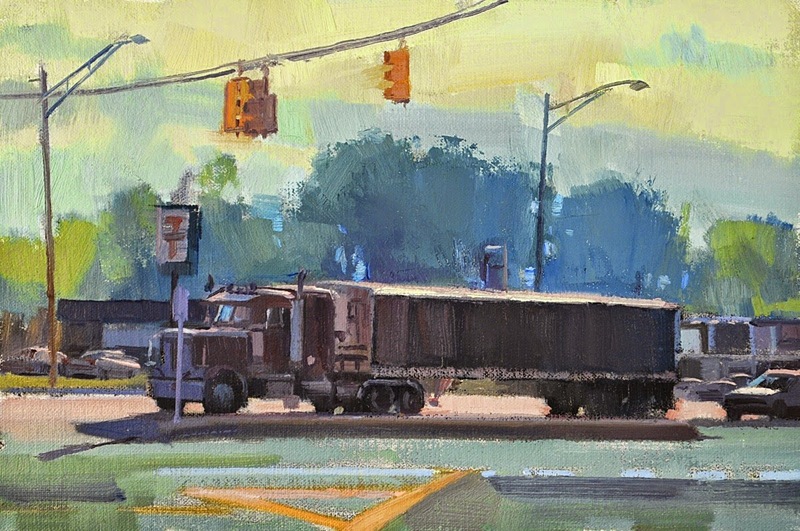 He won a small art award in school, and has been pursuing his life’s calling ever since. 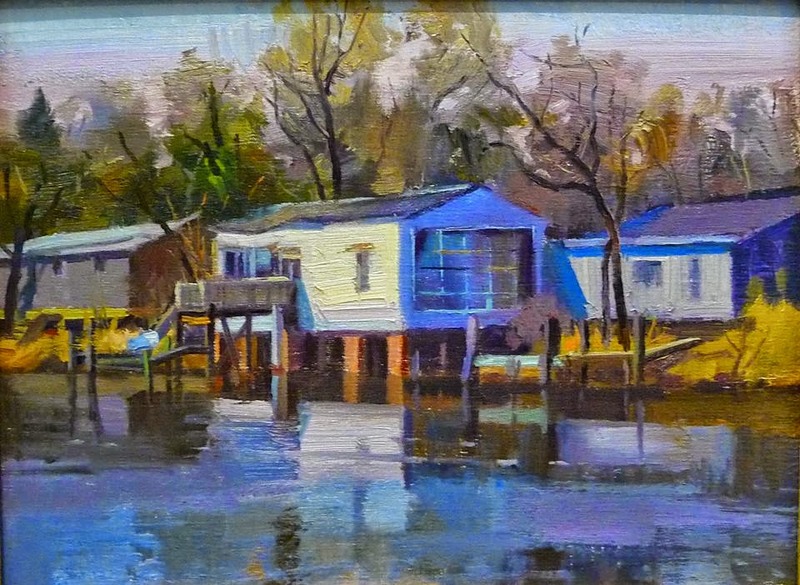 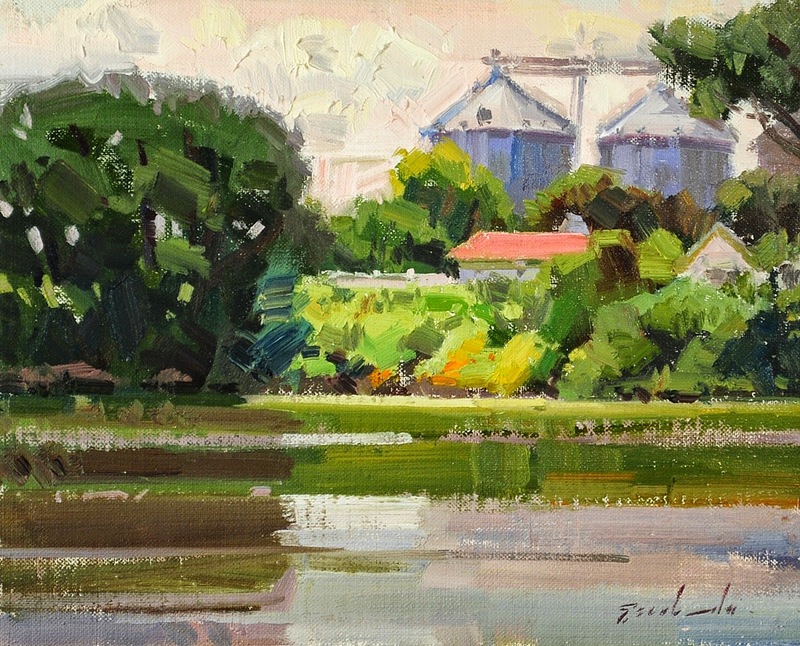 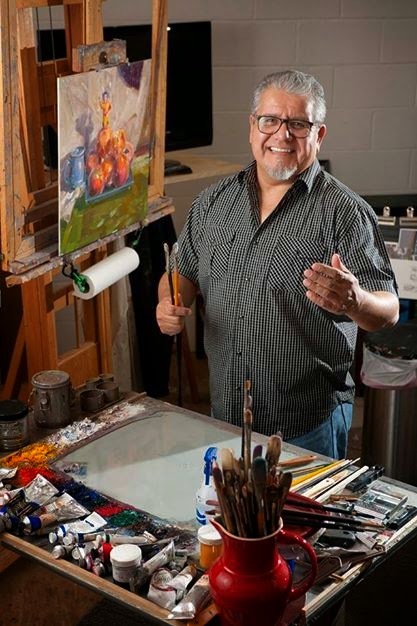 With a BFA from Sam Houston University, now many years later, the role of painting in his life has not diminished. 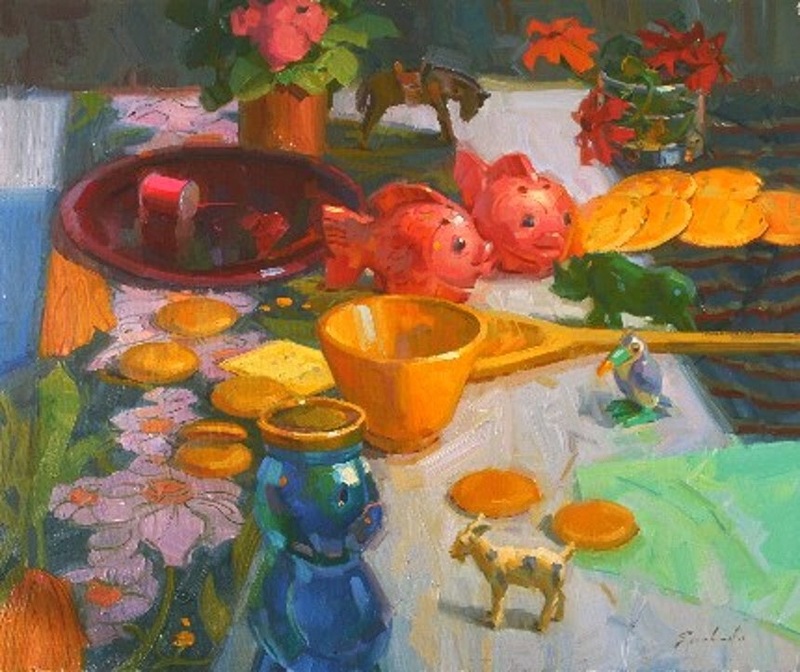 "The most important thing in my life is to paint and for people to enjoy my paintings". 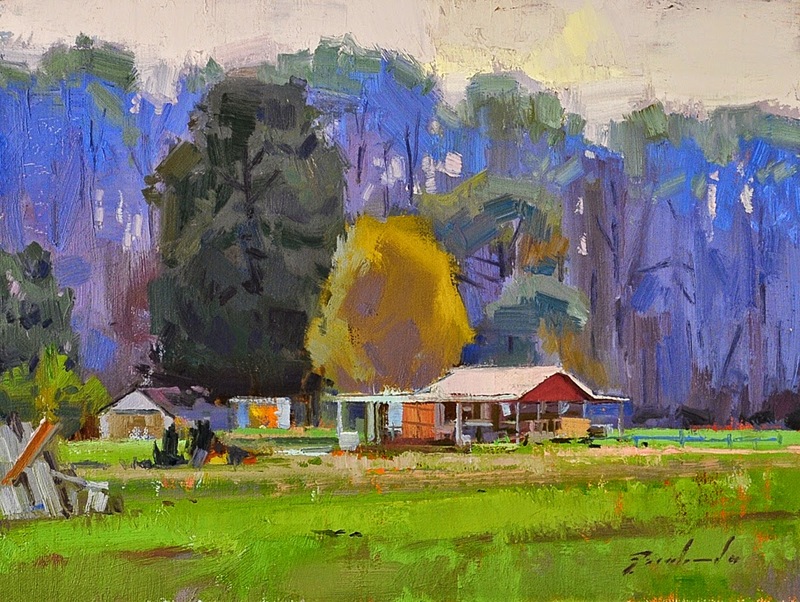 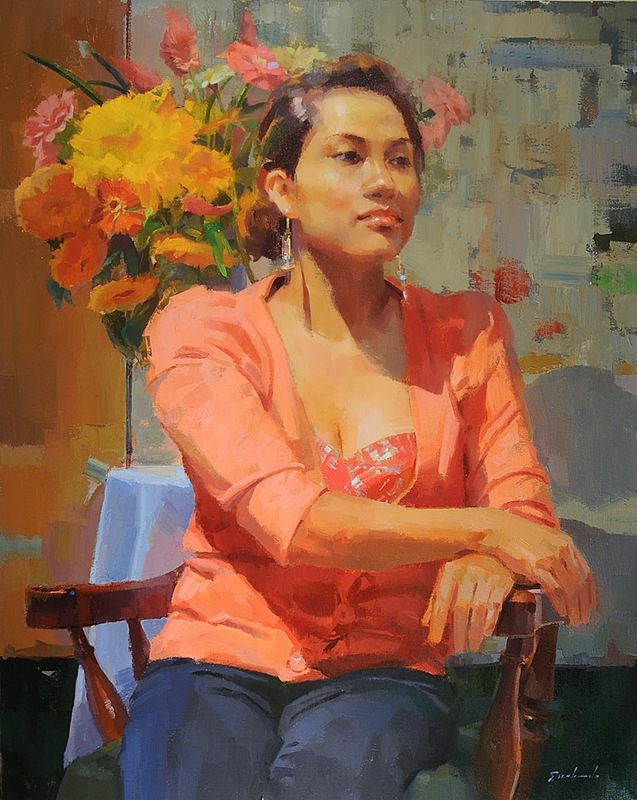 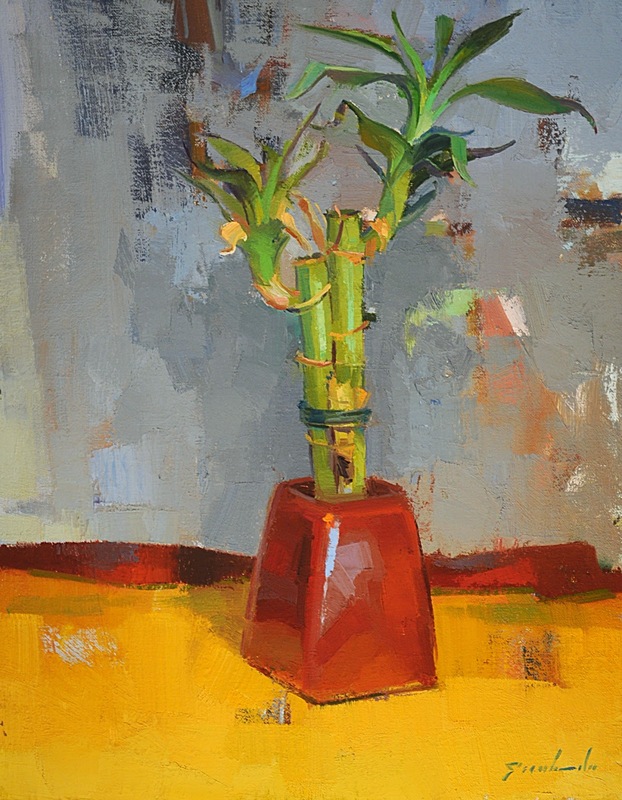 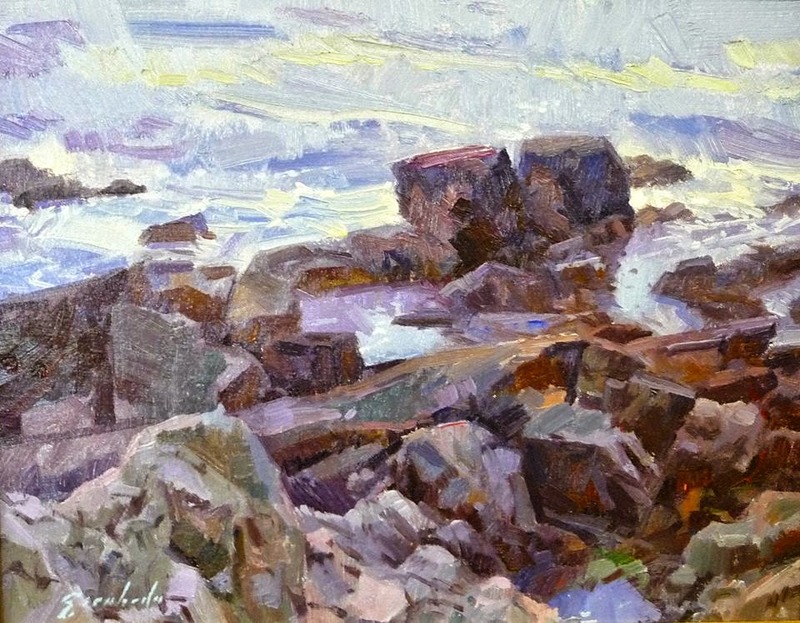 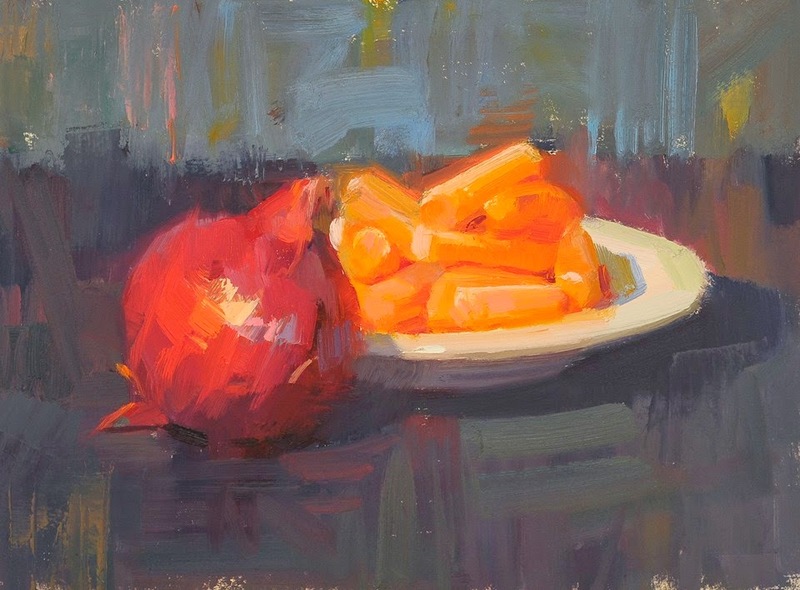 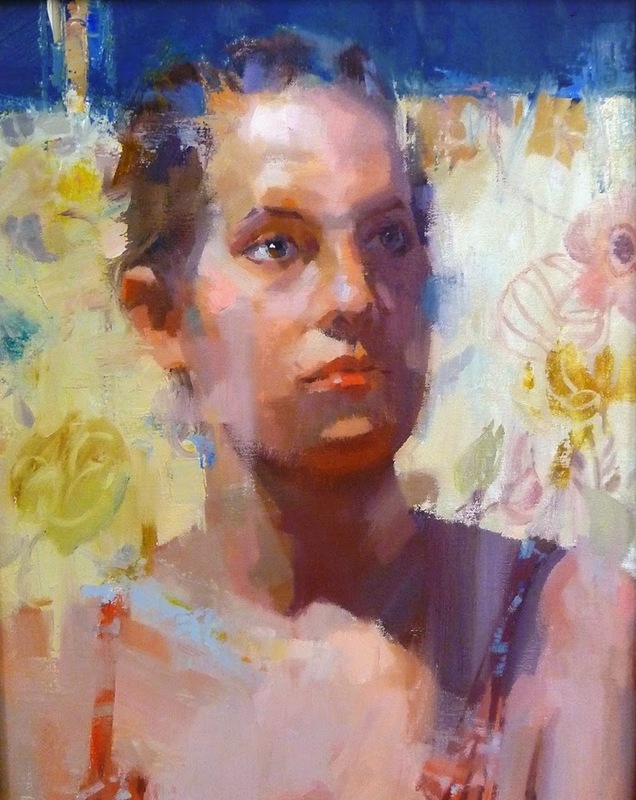 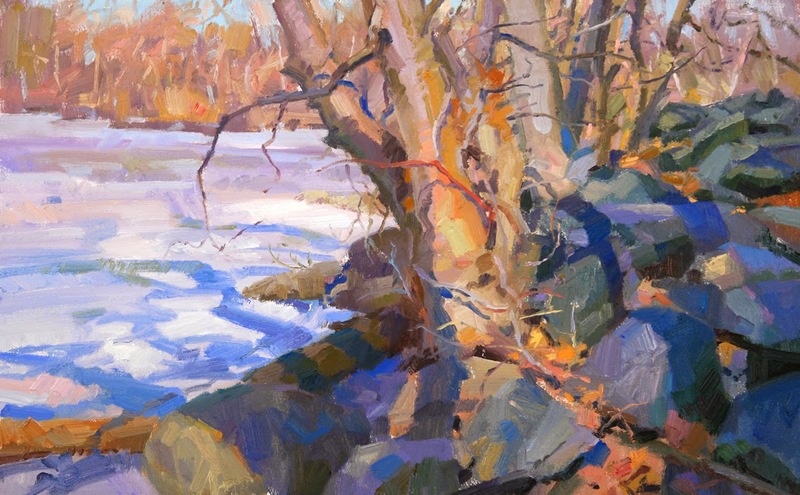 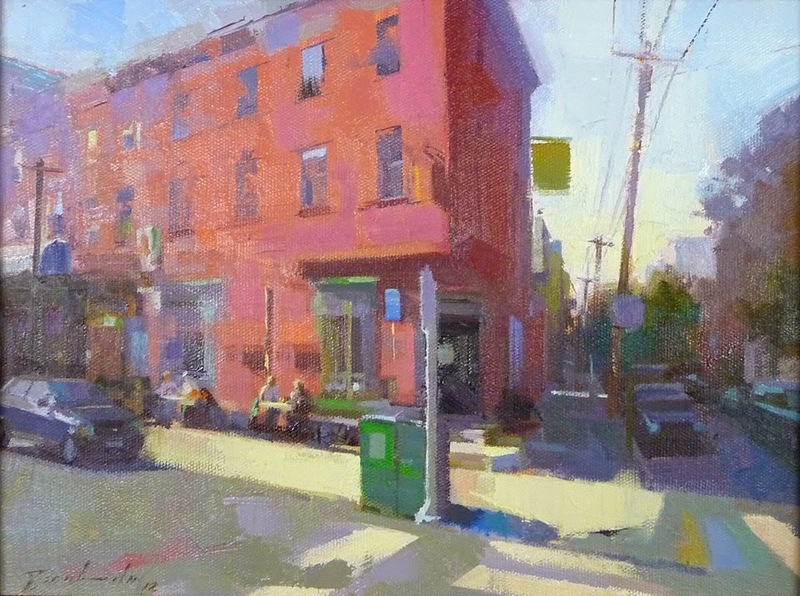 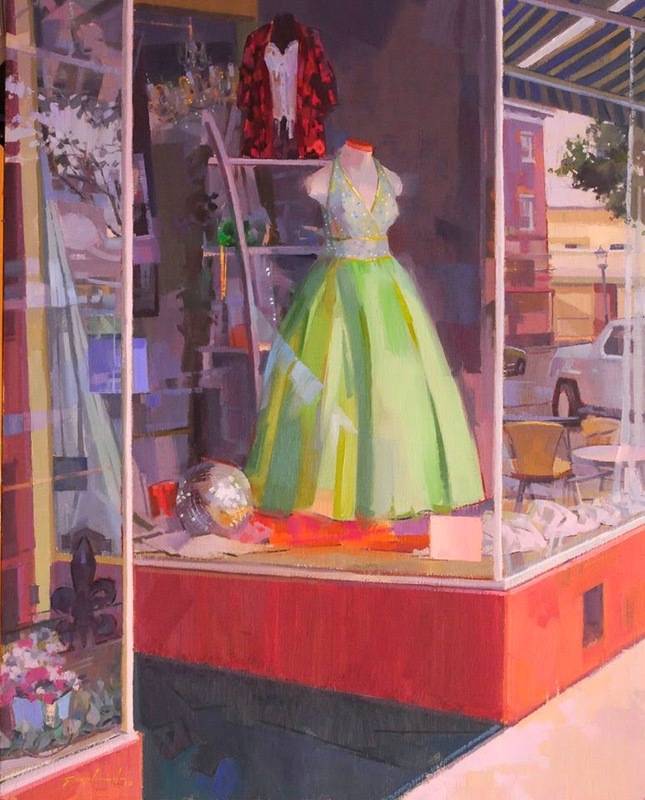 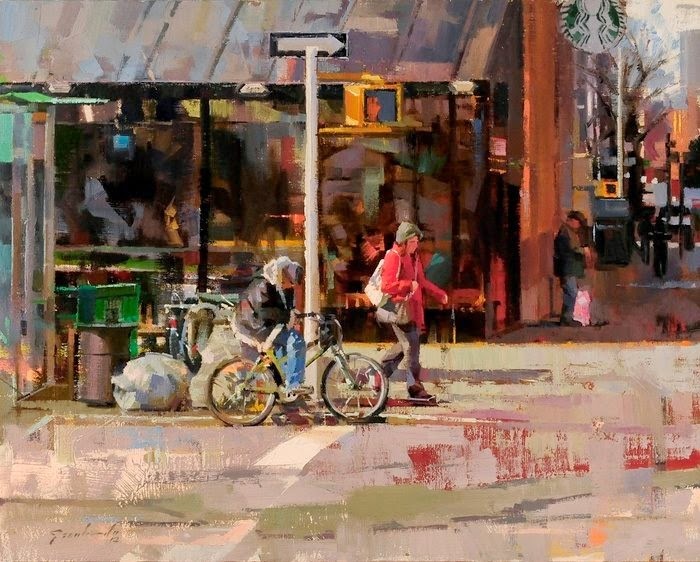 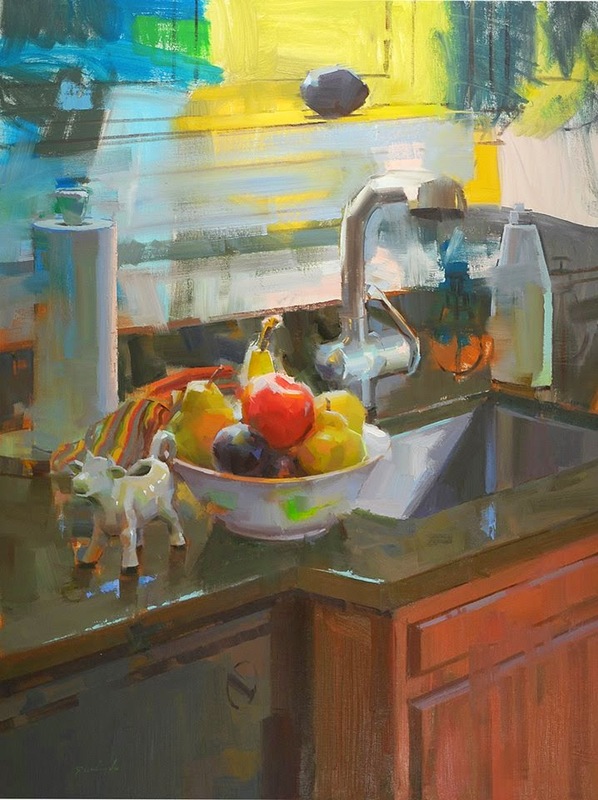 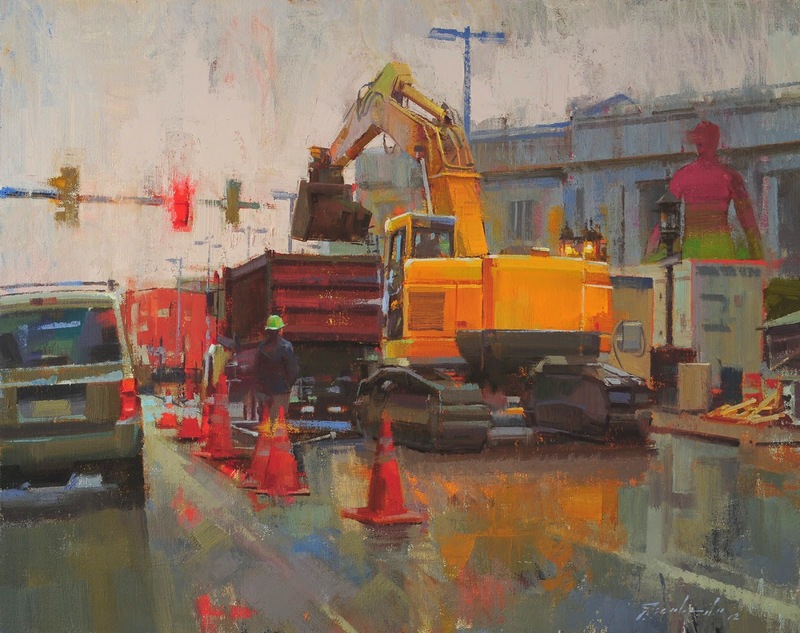 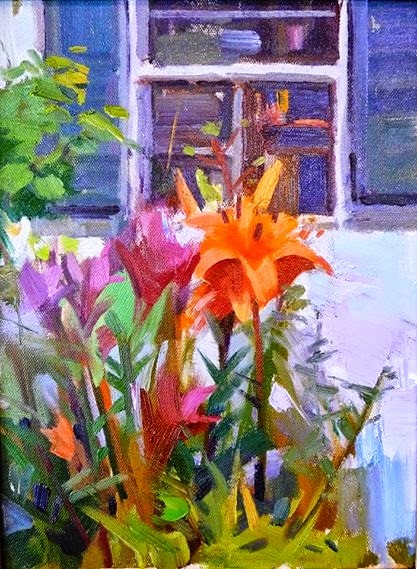 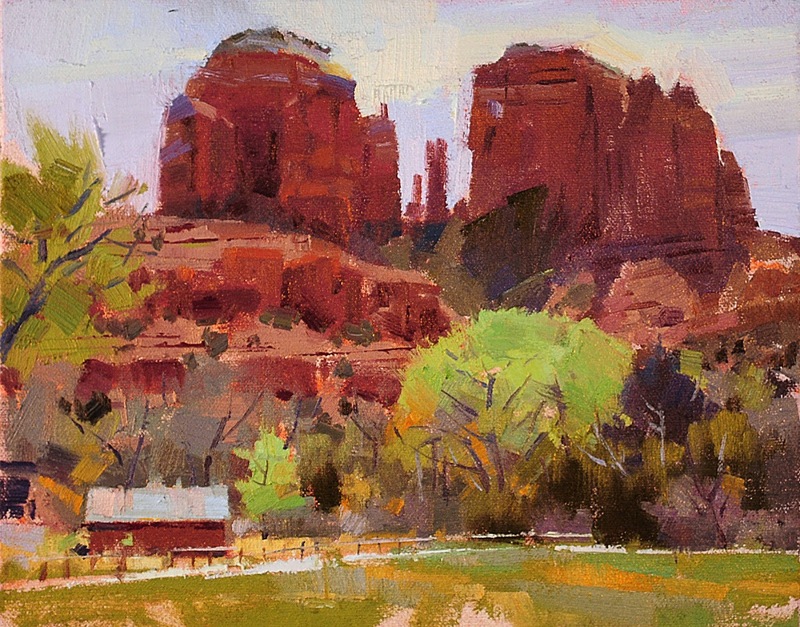 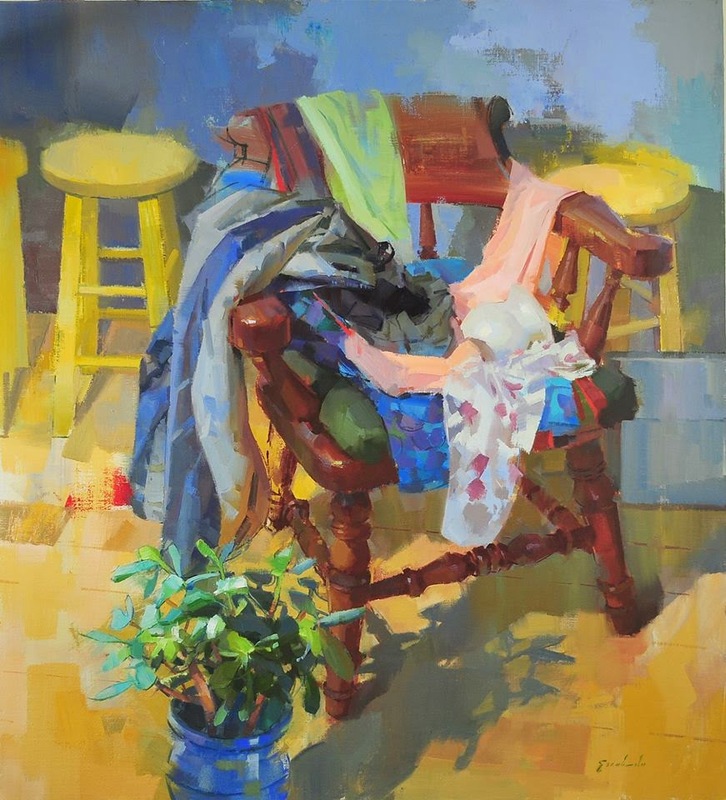 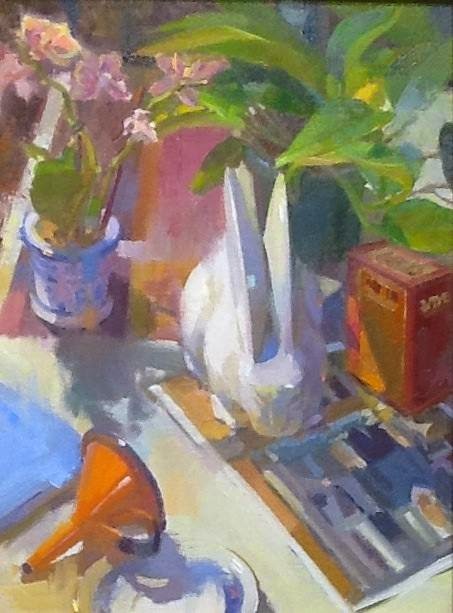 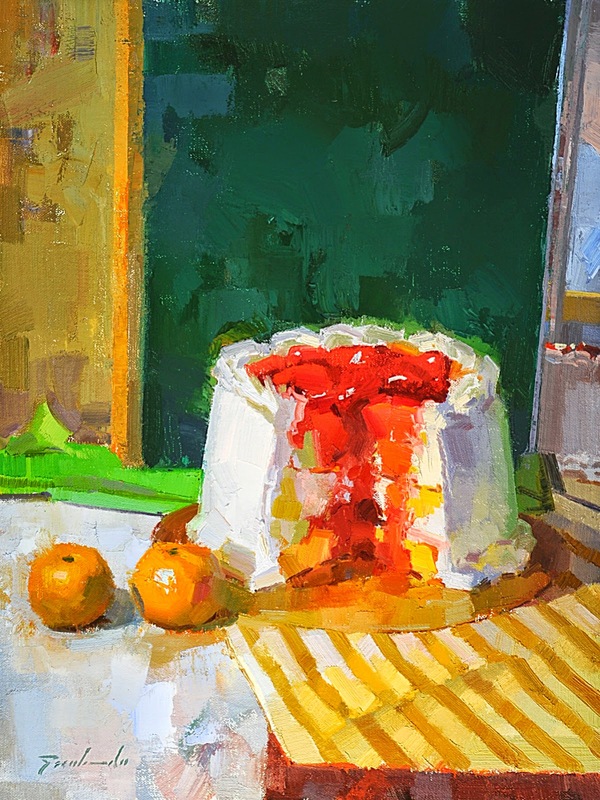 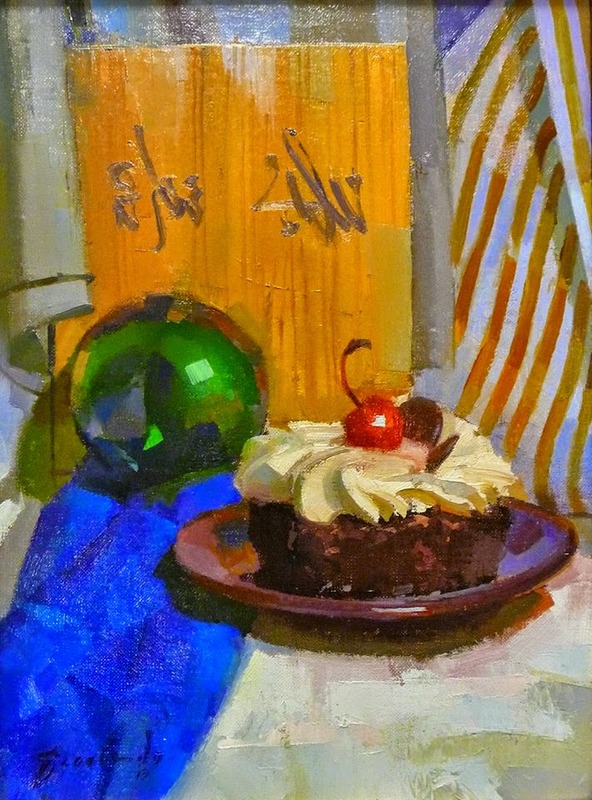 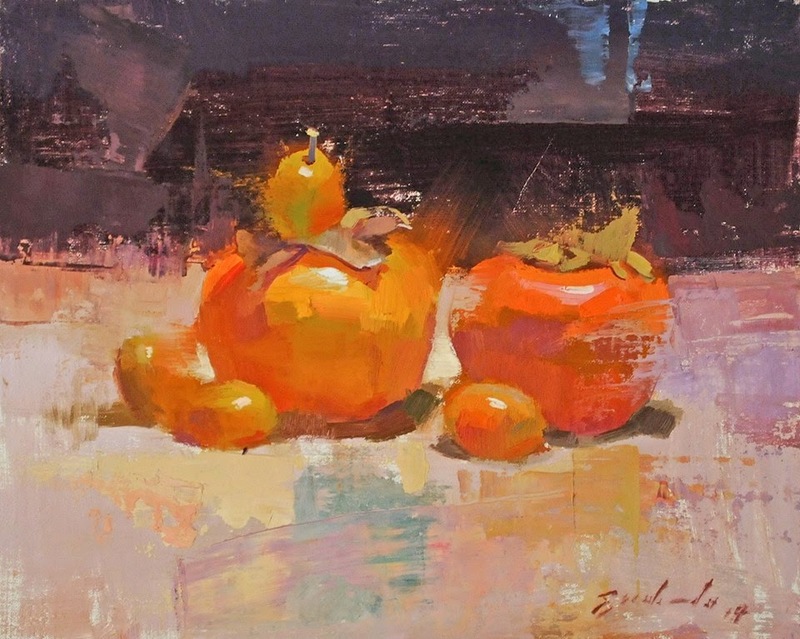 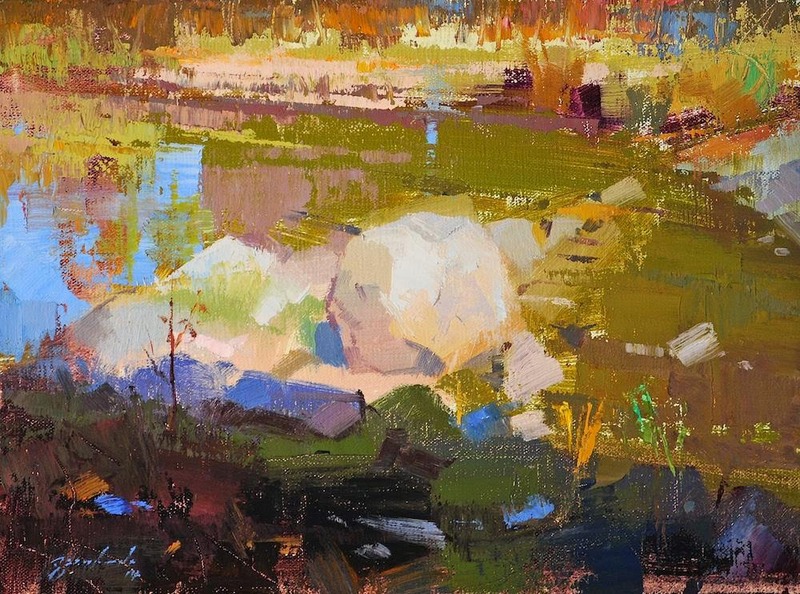 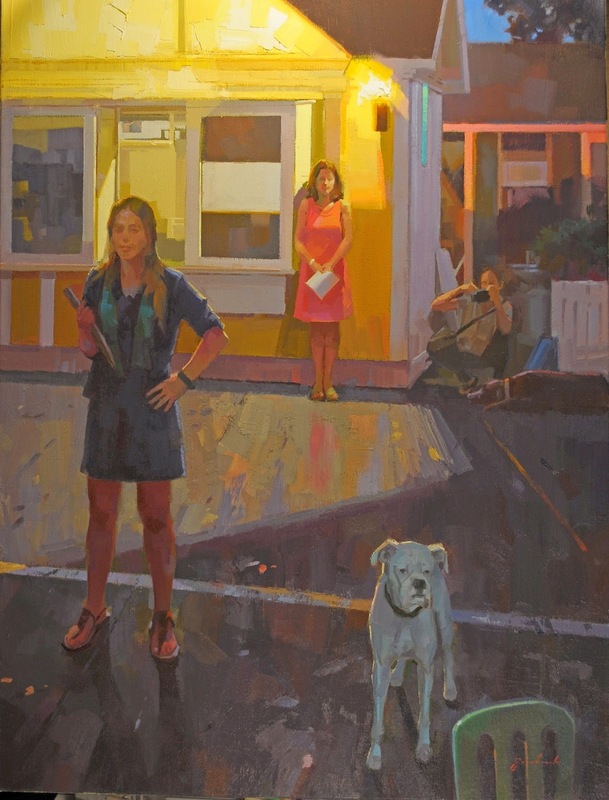 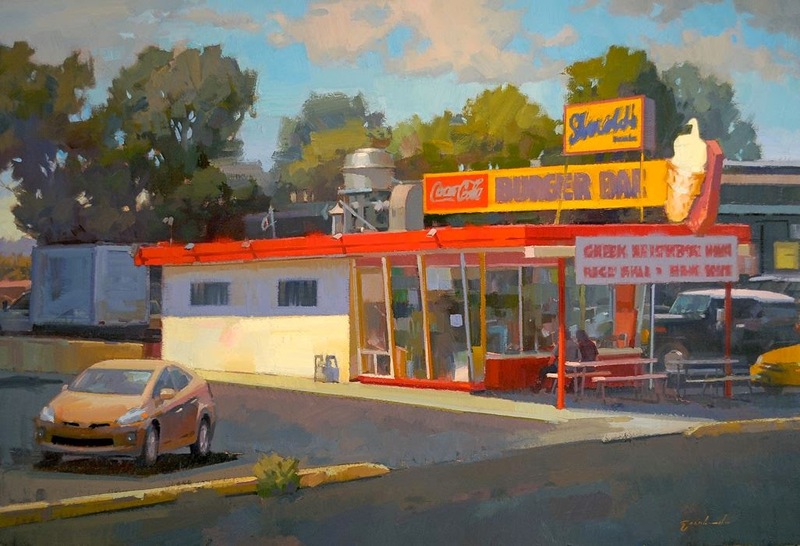 Louis Escobedo uses high-intensity colors to energize all of his subjects, landscape, still life and figurative. 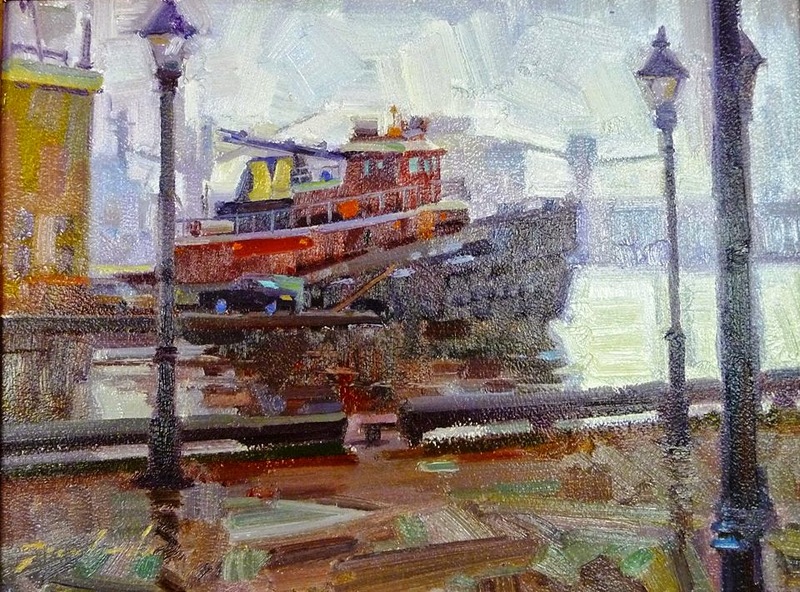 As a 'master colorist', Louis’ oil paintings excel with their dramatic lighting effects and tremendous depth. 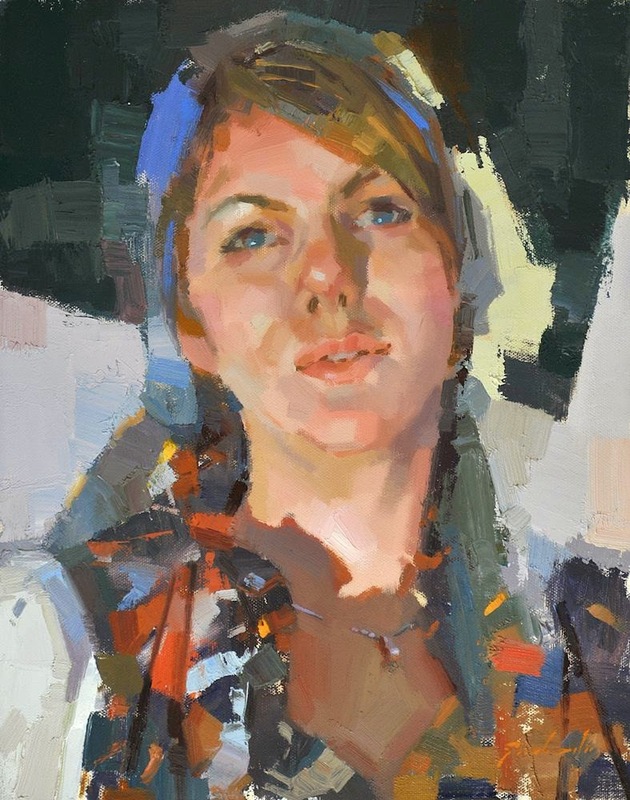 He looks beyond the usual physical make-up of the painting subject, to the relationships of its forms and colors, creating a compelling visual map in each painting. 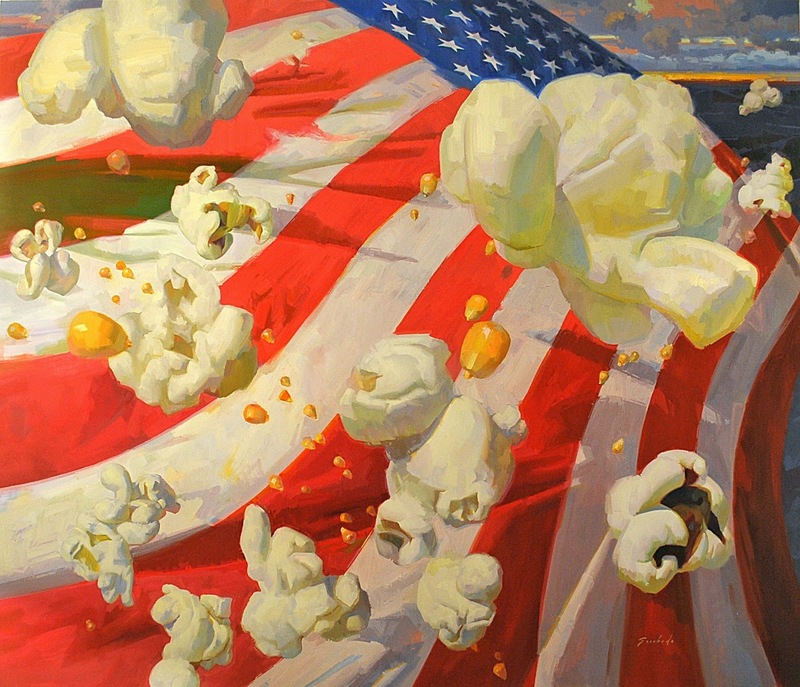 "I’ve never seen anybody else with my colors. 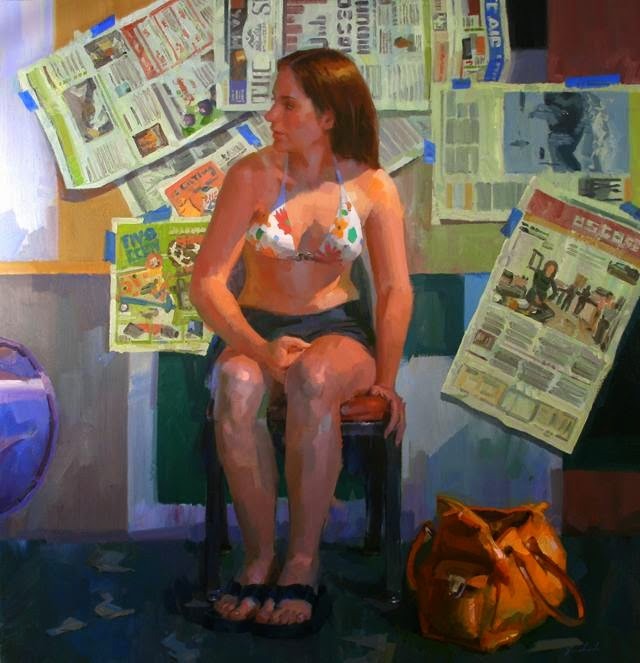 I’ve seen people who are colorful, but in a different way". 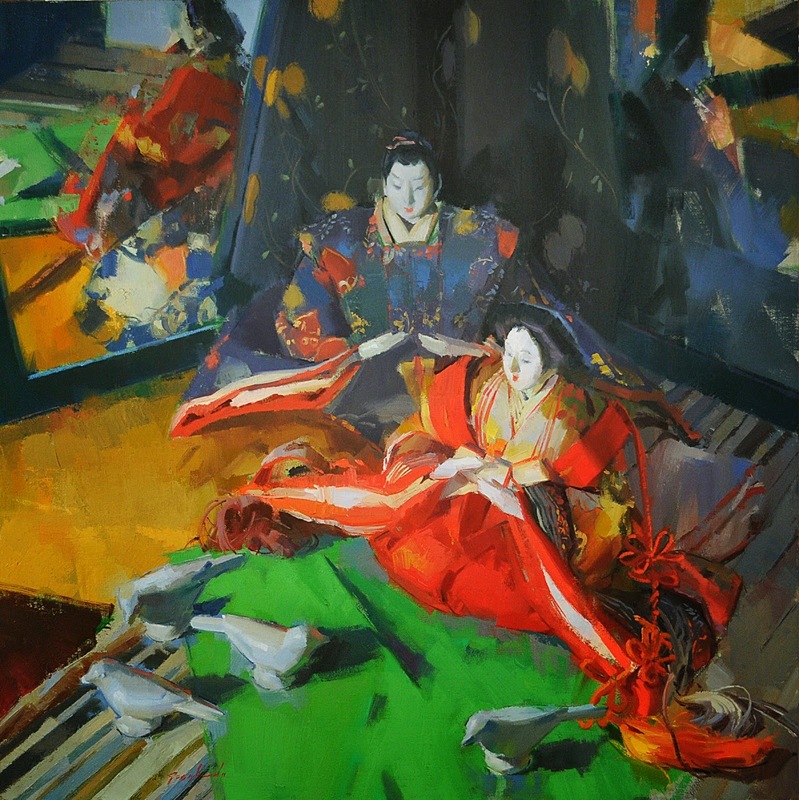 Influenced by many 19th century European artists, Louis is most influenced by Spanish artist Joaquin Sorolla y Bastida. 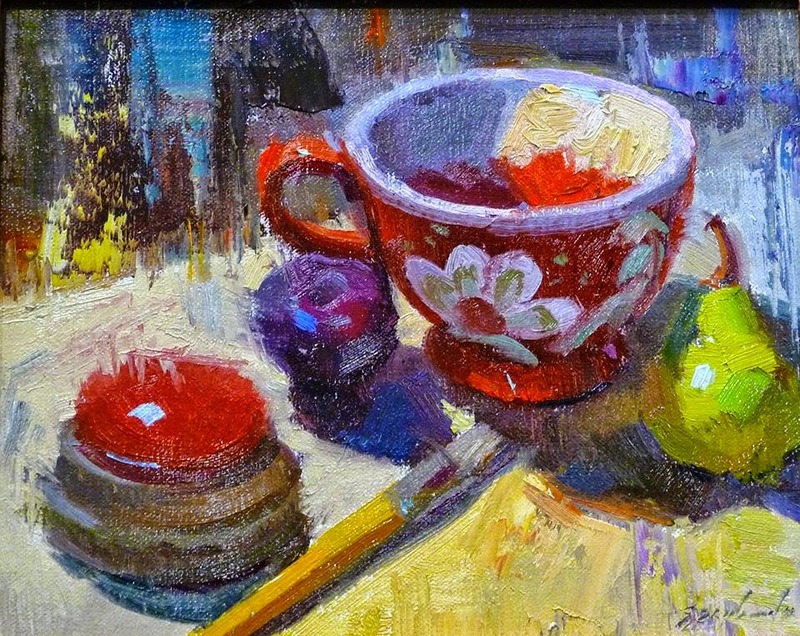 It is the famous artist’s bravado and use of color that most impresses Louis. 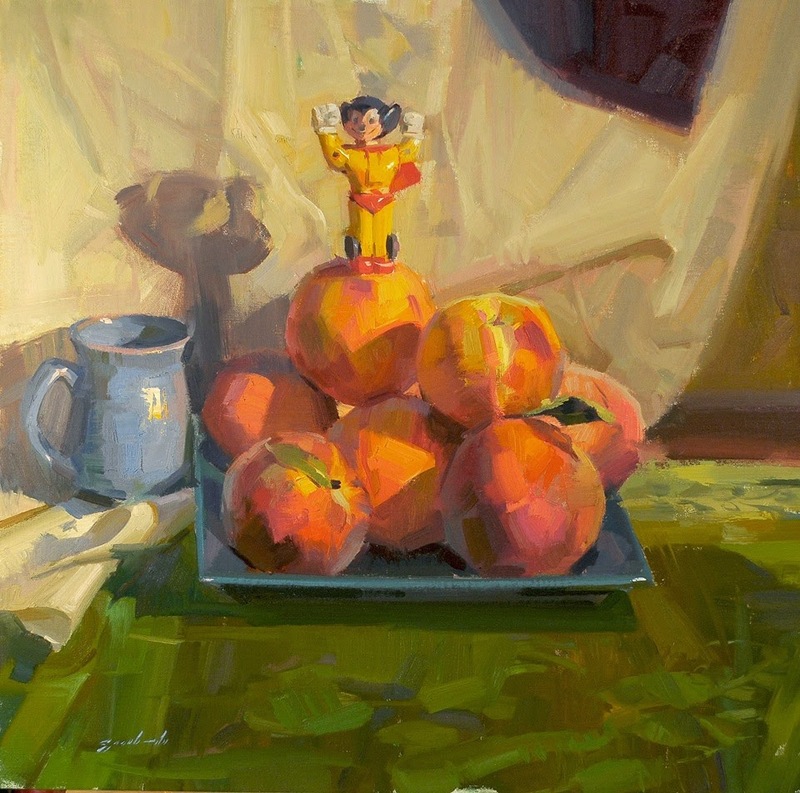 His pursuit has not been without numerous successes. 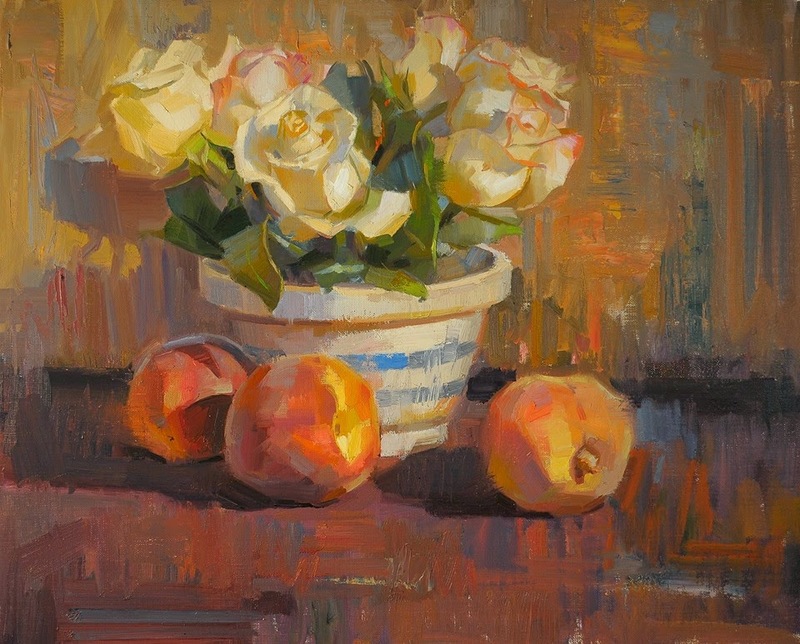 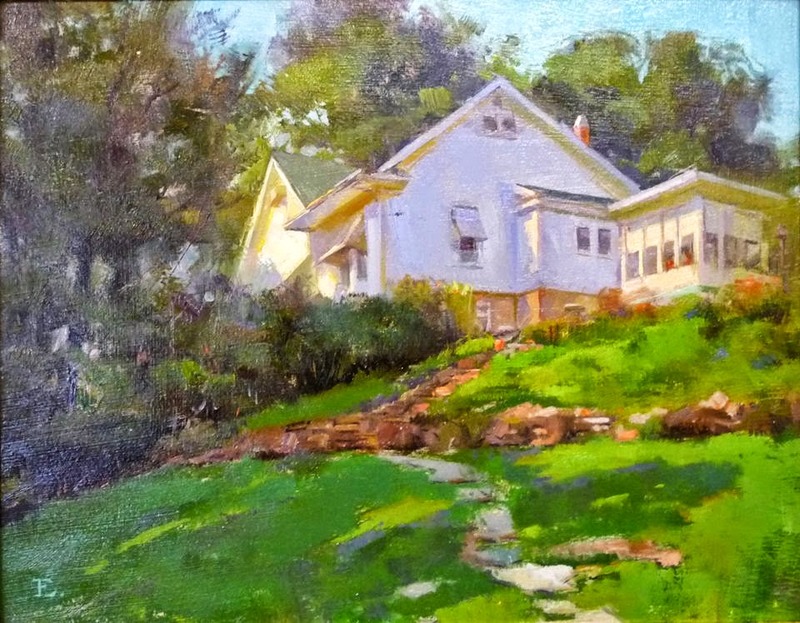 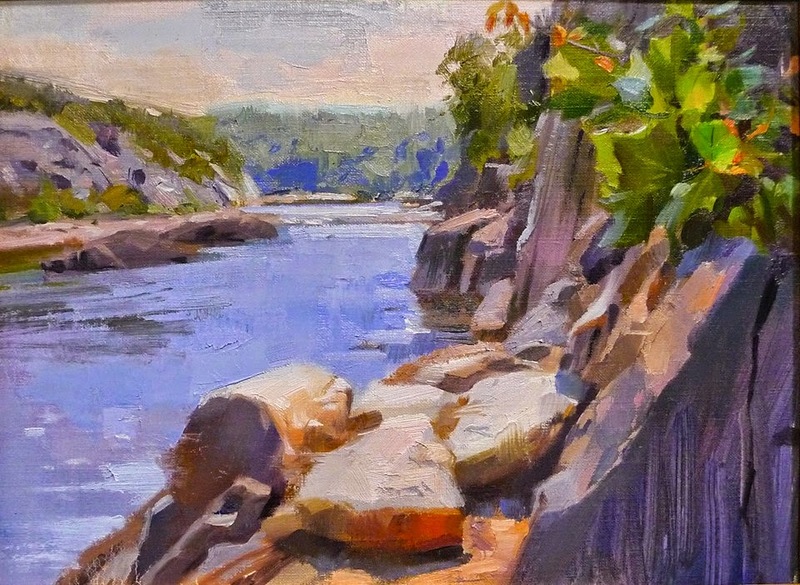 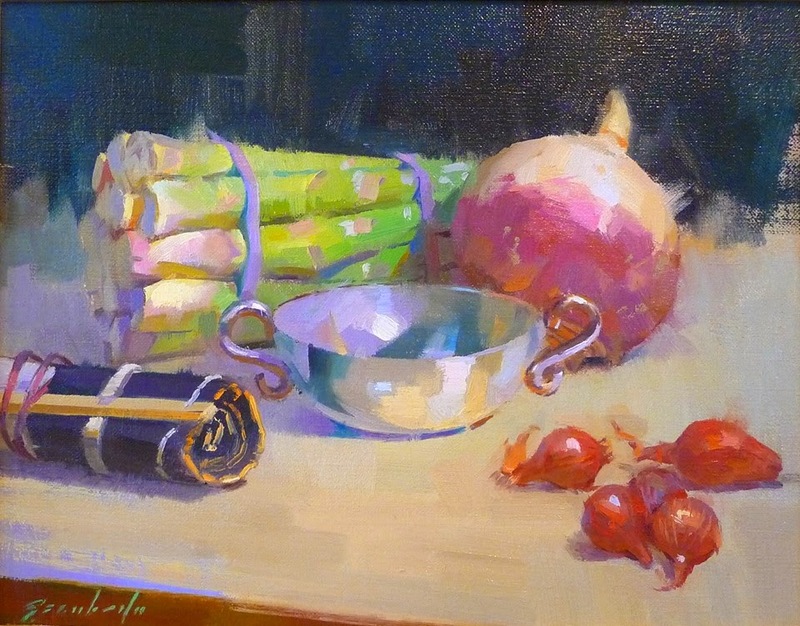 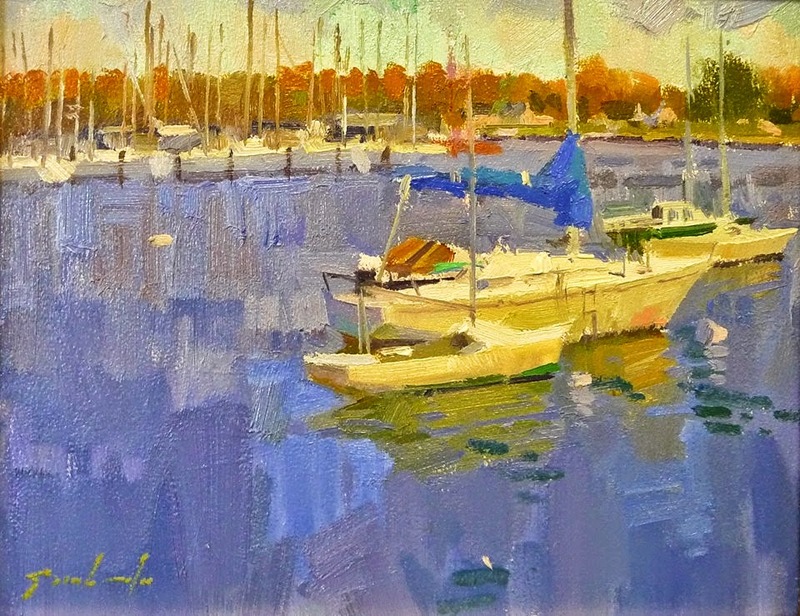 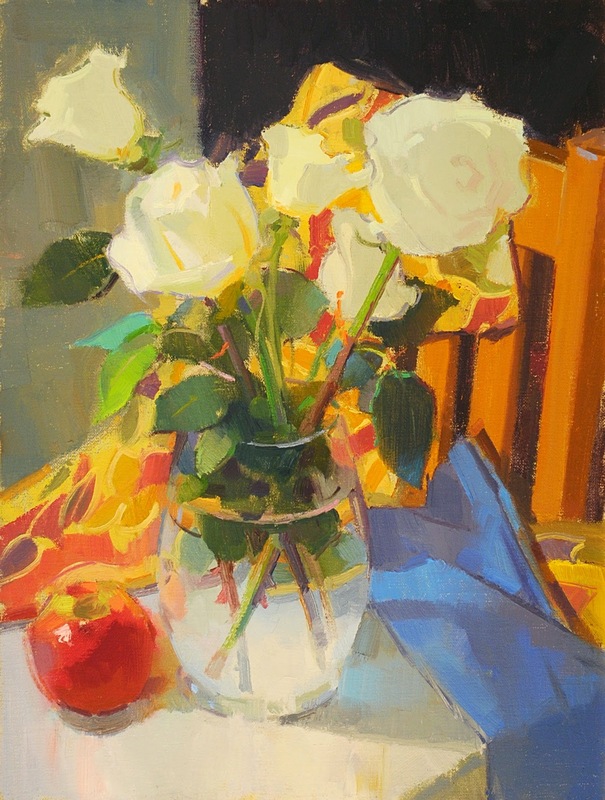 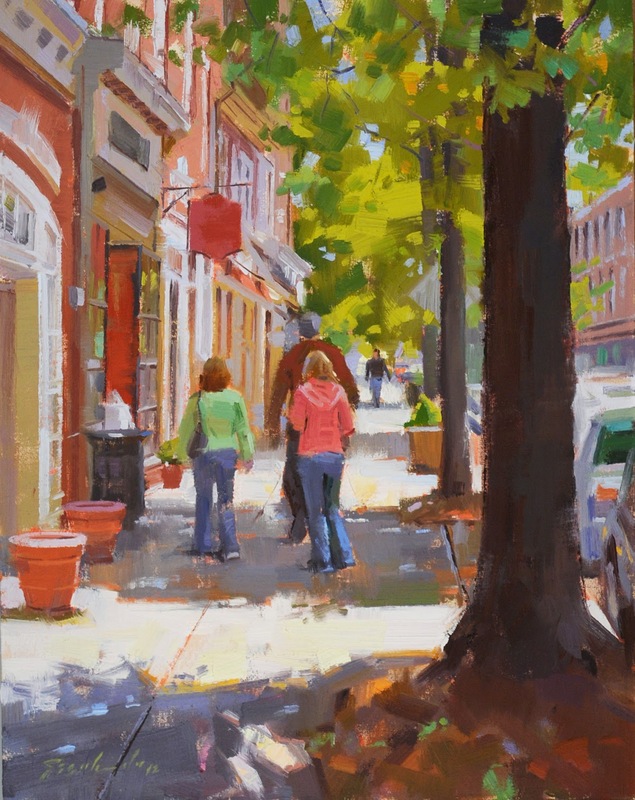 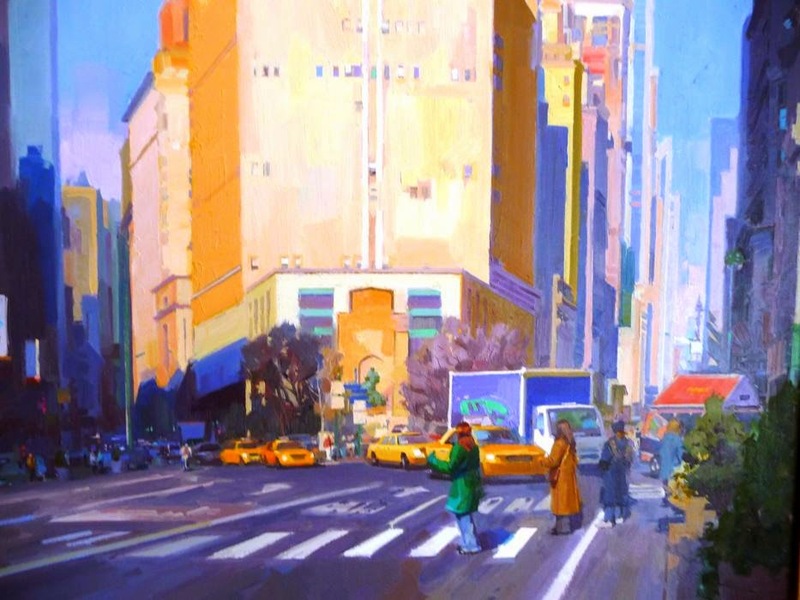 Louis’ paintings have received numerous awards, including the 'Best of Show' Award from the Oil Painters of America, a Gold Medal from the Society of Illustrators in New York and the Top 100 in the National Arts for the Parks. 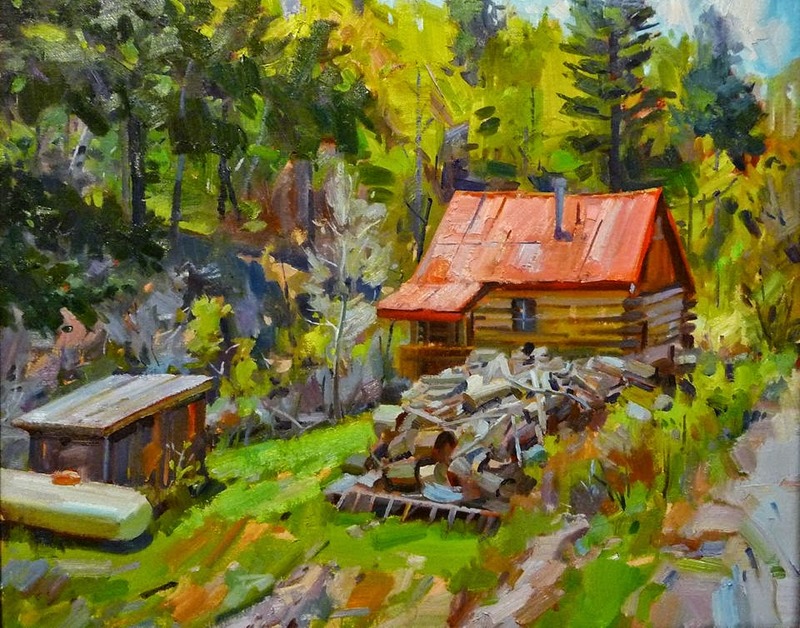 His works have been exhibited at the Hermitage Museum in Norfolk, Virginia, the Colorado History Museum, the Denver Art Museum, and the Phippen Museum among others. 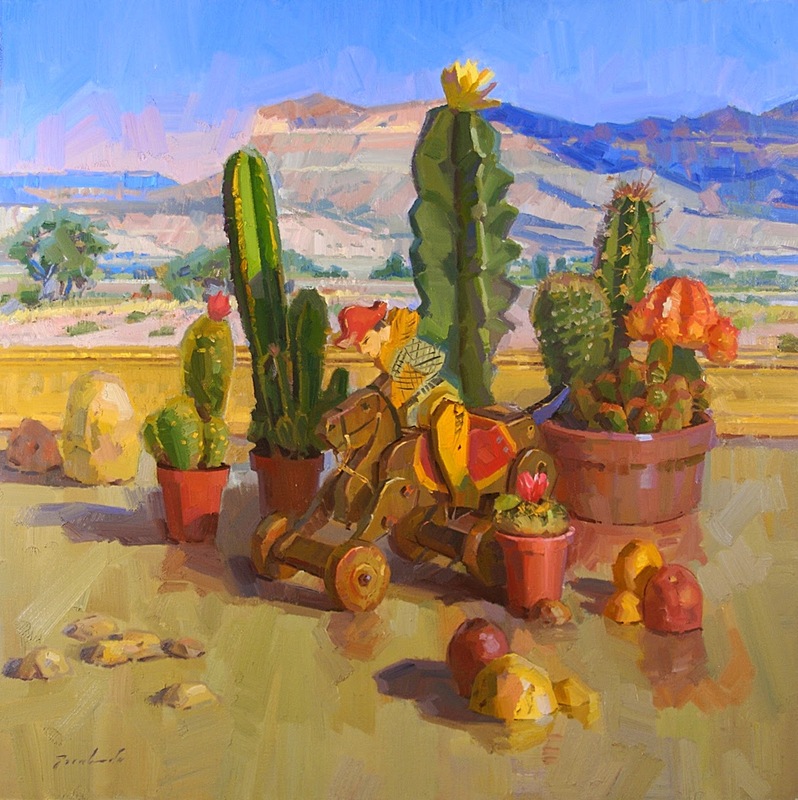 Escobedo’s work has been published in Best of Portrait Painting, North Light Books - 1988, The Artist’s Magazine, Art Talk, and 'Honoring The Inner Voice' in Southwest Art Magazine - 2002. 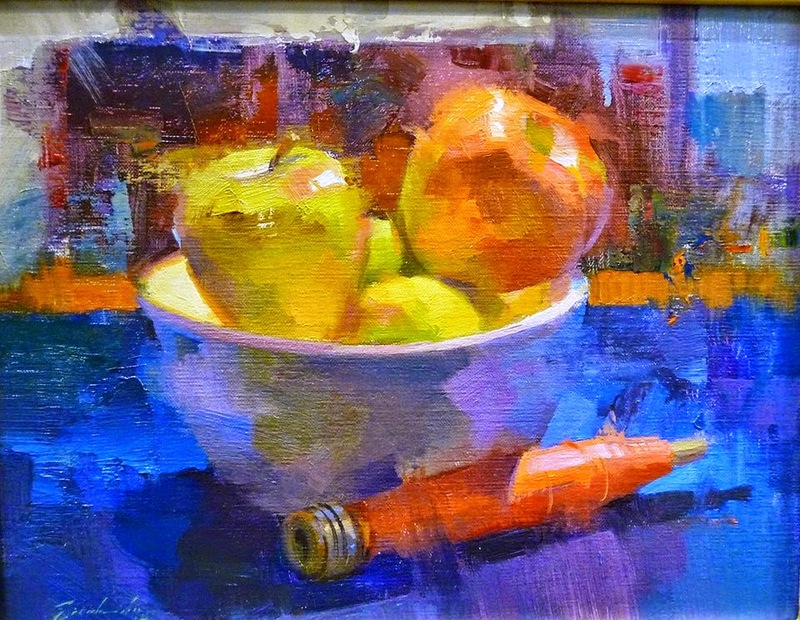 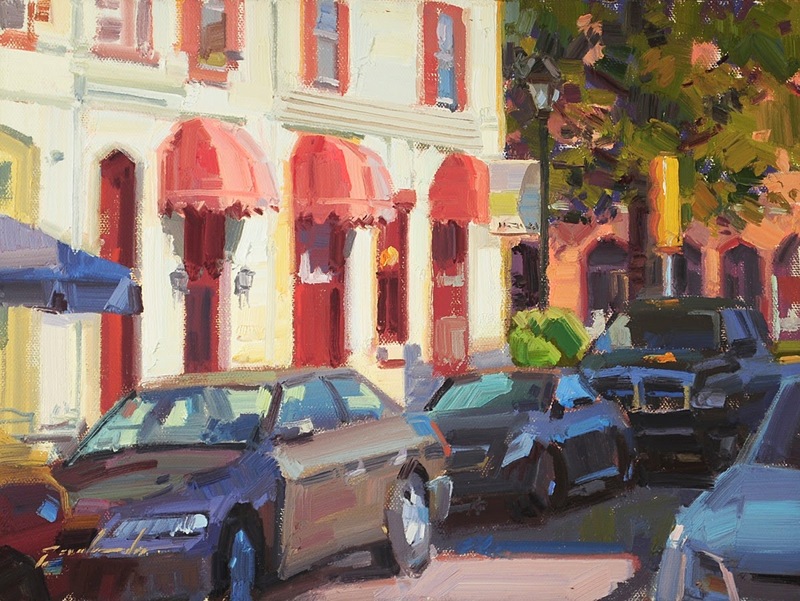 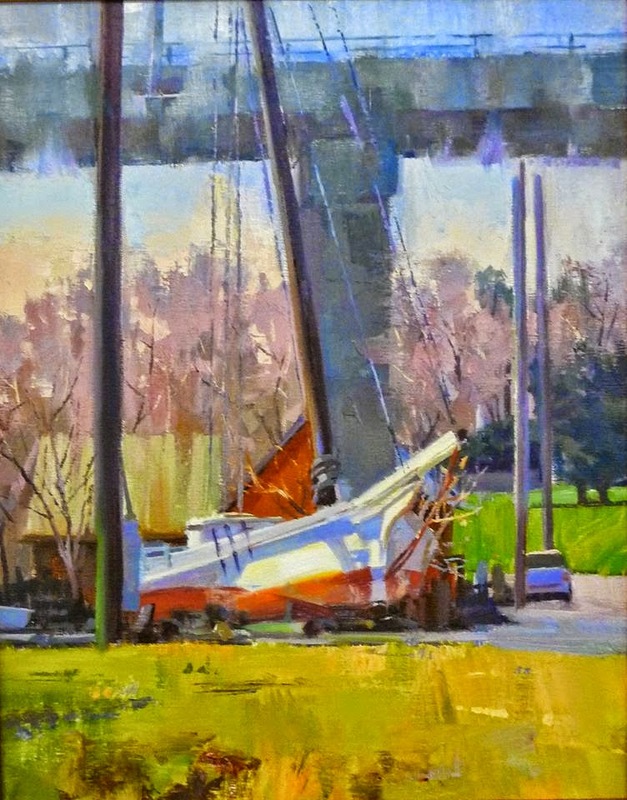 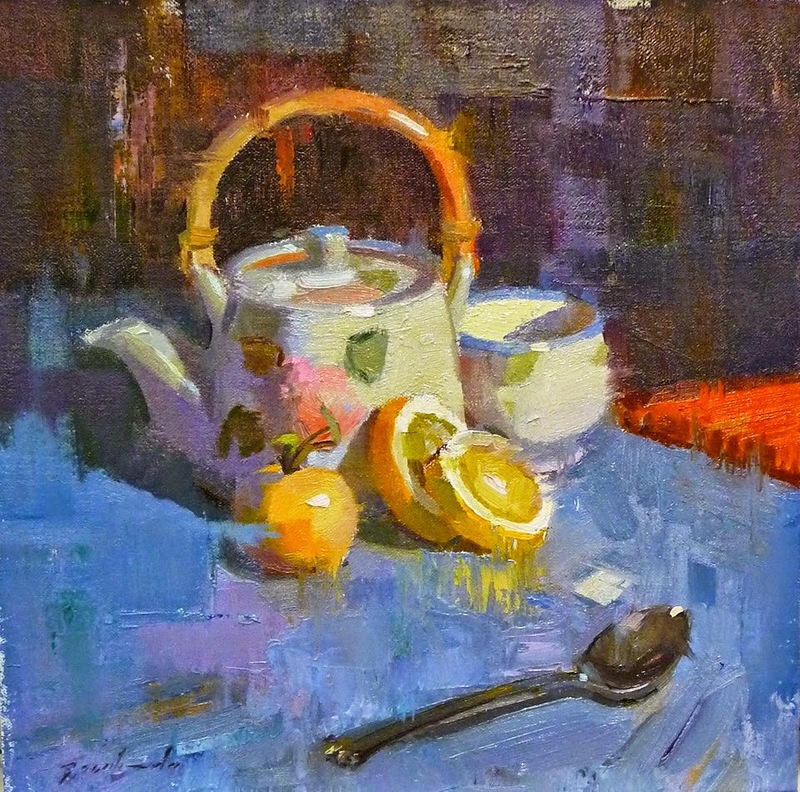 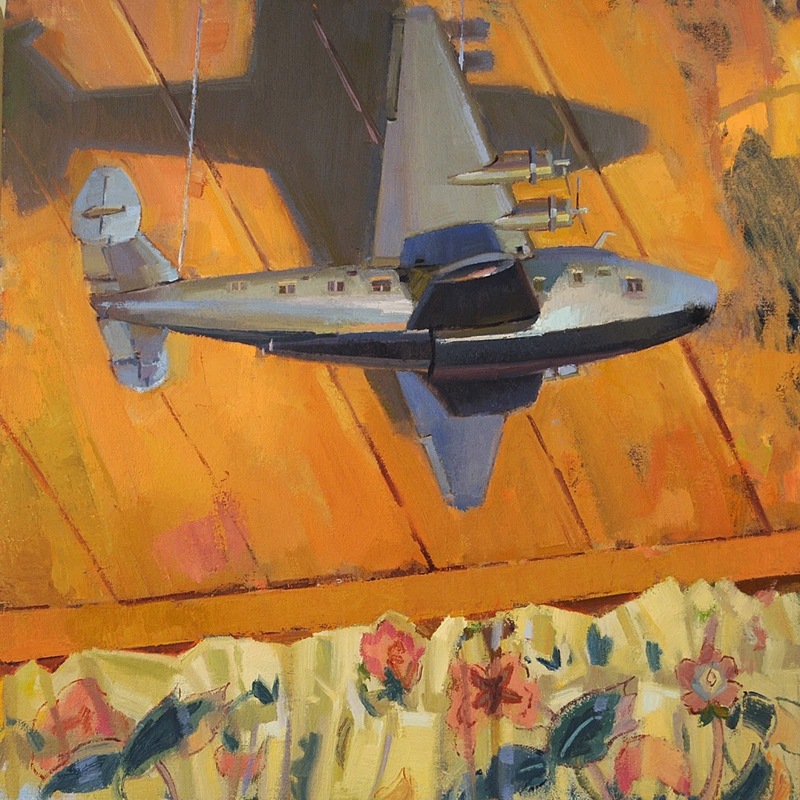 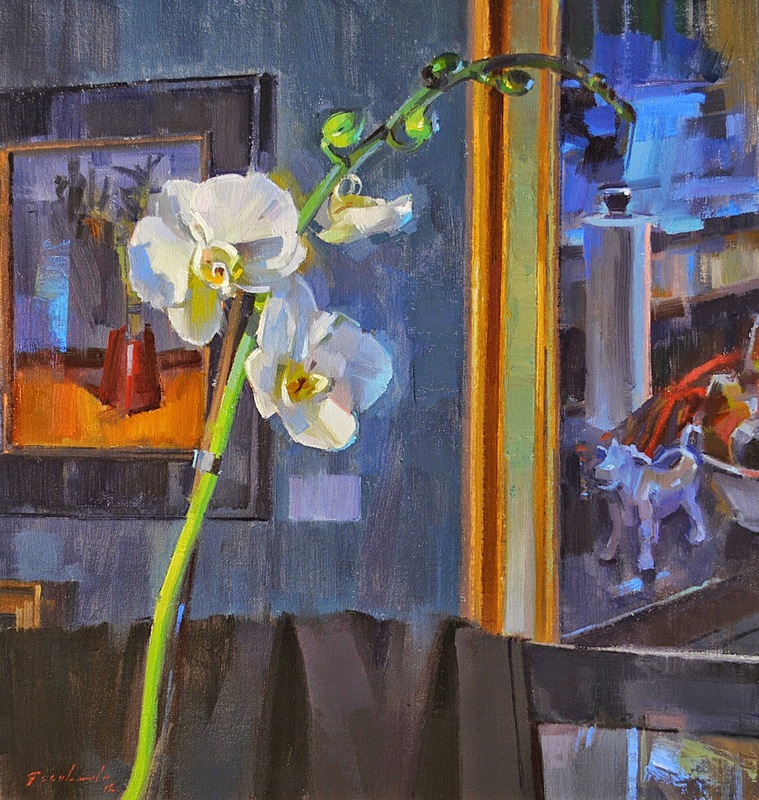 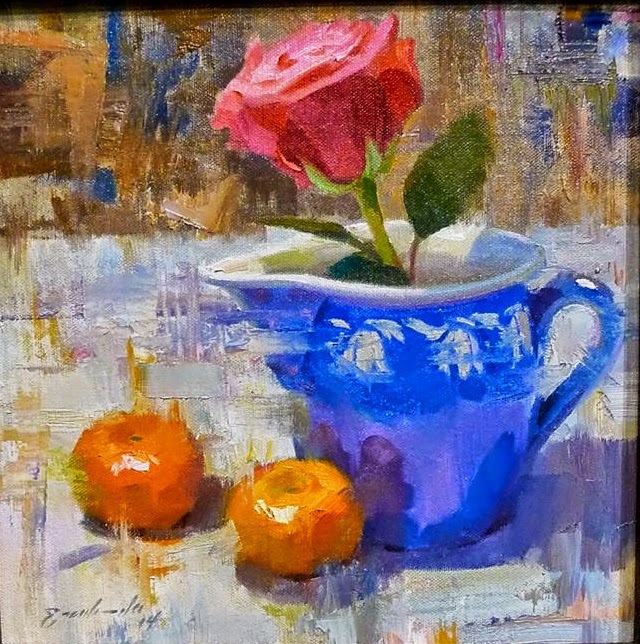 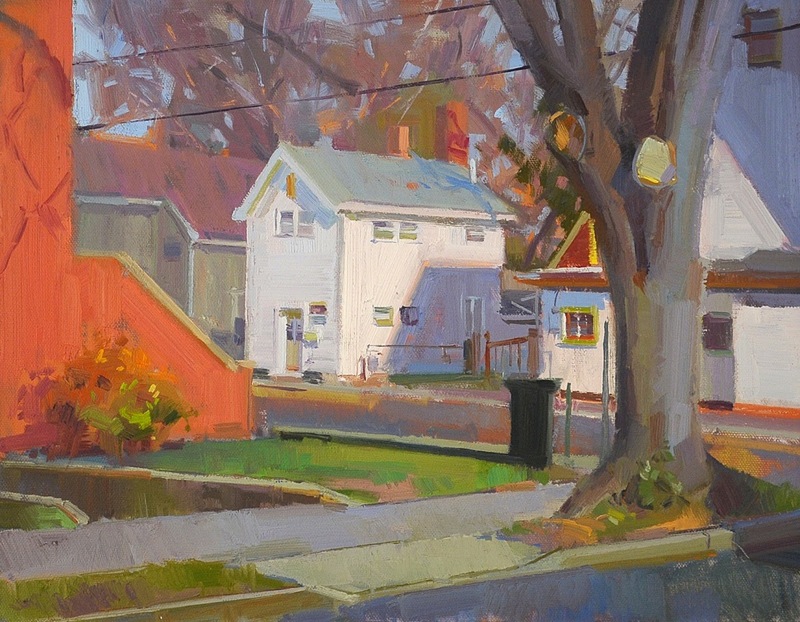 The Most Original Award for Excellence from the National Oil Painters of America - 2012.